A new exhibit presents works by Jewish immigrants from Germany who shaped Israel’s advertising industry and consumer culture from the 1930s onwards. Between 1931 and 1939, 100,000 new immigrants came to pre-state Israel, most of them German Jews fleeing the rise of Nazism. Unlike the previous four waves of aliyah, the members of this Fifth Aliyah were not for the Socialist lifestyle. They lived in proper private residences in Tel Aviv and Jerusalem’s Rehavia neighborhood, spoke in German, published German-language newspapers, and held German cultural and social activities. They also brought an entrepreneurial work ethic. German-Jewish immigrants founded Nahariya, home to some of the leading families in the Israeli business sphere: Strauss, Soglowek and Wertheimer. Fittingly, it was visionary industrialist Stef Wertheimer who inaugurated a new exhibition, “And Now the Commercial Ads,” opened recently at the Jeckes Museum, part of the Tefen Open Museum in northern Israel. 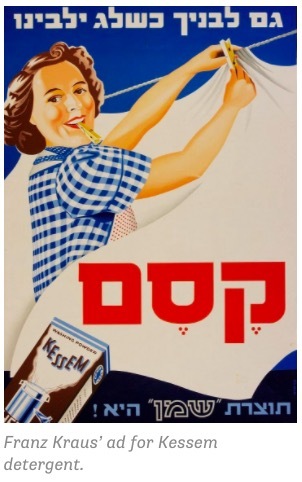 The exhibit presents works by German-Jewish immigrants who contributed to the development of the advertising industry in Israel and the shaping of Israeli consumer culture from the 1930s onwards. The graphic artists who arrived in Israel preserved the principles of a connection between content and form and the modernist approaches taught at the Bauhaus and other schools in Central Europe. Another important contribution of the Fifth Aliyah was in the field of typography and new designs for Hebrew letters that are still in use. The exhibition features posters by prominent graphic artists including brothers Gabriel and Maxim Shamir, Franz Kraus and Otte Wallish. These artists also worked extensively with the Zionist movement and, later on, with the government; Wallish was responsible for the calligraphy and design of the scroll for Israel’s Declaration of Independence and also designed Israel’s first postage stamps, the Shamir brothers designed the State of Israel coat of arms, and Kraus created the now-famous “Visit Palestine” poster of 1936. However, the exhibition emphasizes their work in advertising consumer goods made by companies like Assis, ATA, Dubek, Elite, Osem, Prigat, Shemen, Strauss, Tnuva, Tempo and more. “This aliyah — which could also be called ‘the advertisers’ aliyah’ — changed the face of advertising in [Mandatory] Palestine in the 1930s,” write researchers Yehiel Limor and Osnat Roth-Cohen in a paper entitled “The Fifth Aliyah and Its Impact on the Development of the Advertising Industry”. In the early 1930s, there were 15 advertising agencies operating in Tel Aviv, and by the end of the 1930s their number had risen to 25. The Germans also established the Palestine Publication Association, the Association of Hebrew Painters of Applied Graphics in Eretz Israel, and the Committee for the Publication of Eretz Israel. They also introduced the strategy of segmentation according to target markets, with some ads appearing only in German and others in Hebrew and German versions. After 1948, advertising“served not only as a sales tool, but also as a means of imparting language to new immigrants. Alongside the text were bold images, or clear, easily understandable metaphors,” write Limor and Cohen. “And Now the Commercial Ads”was produced with assistance from the Association of Israelis of Central European Origin (AICEO) andwill run for a year. The exhibition is open to the public free-of-charge. There are countless institutions fostering design, innovation, and the entrepreneurial spirit in Israel. Vital–The Tel Aviv Center for Design Studies, in the city’s Florentine neighborhood, focuses on graphics, illustration, and product design. The NB Haifa School of Design and the Holon Institute of Technology both have robust design programs. The august Bezalel Academy of Arts and Design in Jerusalem (Israel’s oldest arts school) offers, along with its courses in fine arts, photography, and film, degrees in architecture, industrial design, ceramics, and jewelry design as well as graduate-level programs in urban design. In Israel, as elsewhere, design plays a central role in defining local culture and contributes to the nation’s economic development. It is also an important part of what makes life delightful here. Israel is a land of pragmatic innovation. It comes at you from all sides, and a fundamental understanding of design plays an important role in that fact. Yuli Tamir, the president of Israel’s Shenkar College of Engineering, Design and Art, understands this well. In many ways, Shenkar is what Israel should be about: a center of culture and creativity that relies on cutting-edge technological know-how in order to produce and reproduce a new way of life: whether in fashion, art, textile, chemistry, technology, or design, Shenkar challenges young people to think and create, and that is what education is all about. You think, “Okay, innovation in Israel, that’s the Weizmann Institute, the Technion”—and those places certainly do have a high level of innovation. But when you look at where unusual industry starts, it’s usually here rather than there. . . . We are hands-on. [Here at Shenkar], we are strengthening the entrepreneurial spirit among students, to give them a platform to develop and initiate their own ideas. The border between fine arts and applied arts is not always distinct. Designer/artist Ayala Serfaty’s work lives on that frontier. 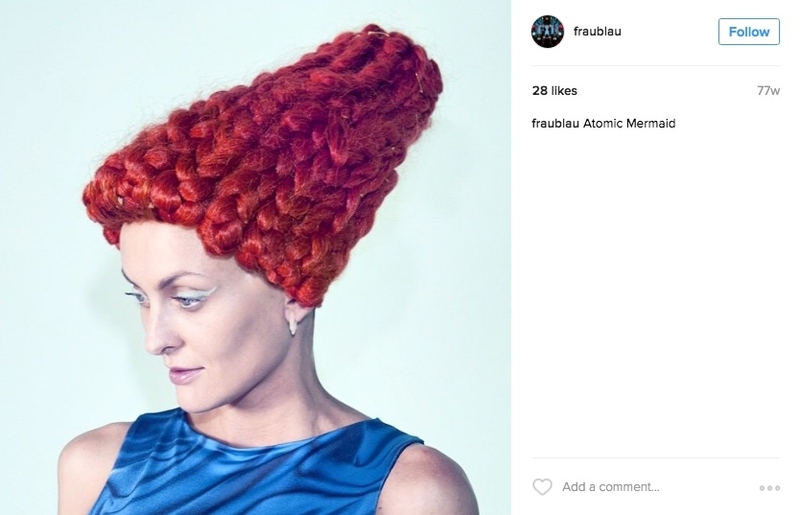 She has long been known for her organically inspired shapes in light known as Soma, works that have been exhibited at museums and galleries from Tel Aviv to New York to Milan. These delicate pieces, made of glass and silk, recall the strange wonders of undersea life—graceful jellyfish, proliferating corals—all lit from within, ethereal, seeming almost to breathe. 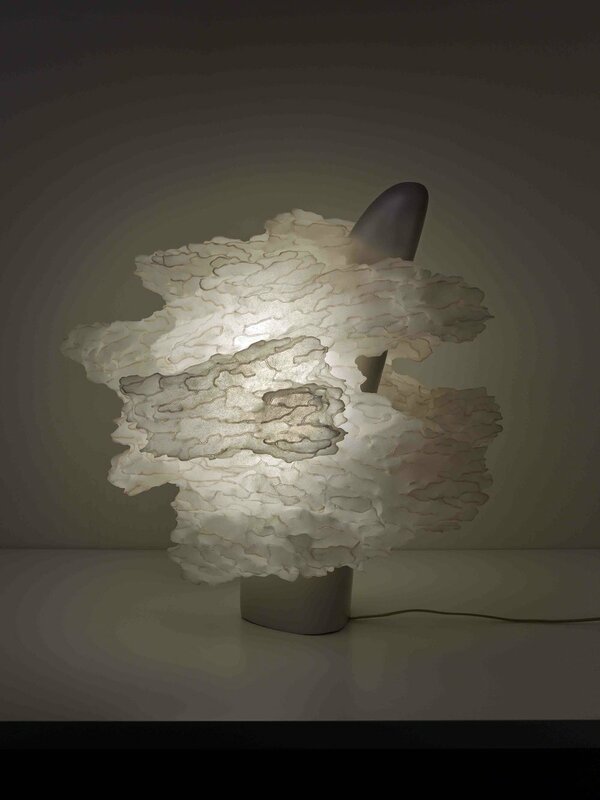 Serfaty’s light works have become so popular that they are now produced in a steady stream, with her oversight, by a team of fabricators at her Tel Aviv workshop, and sold in high-end design stores around the world. 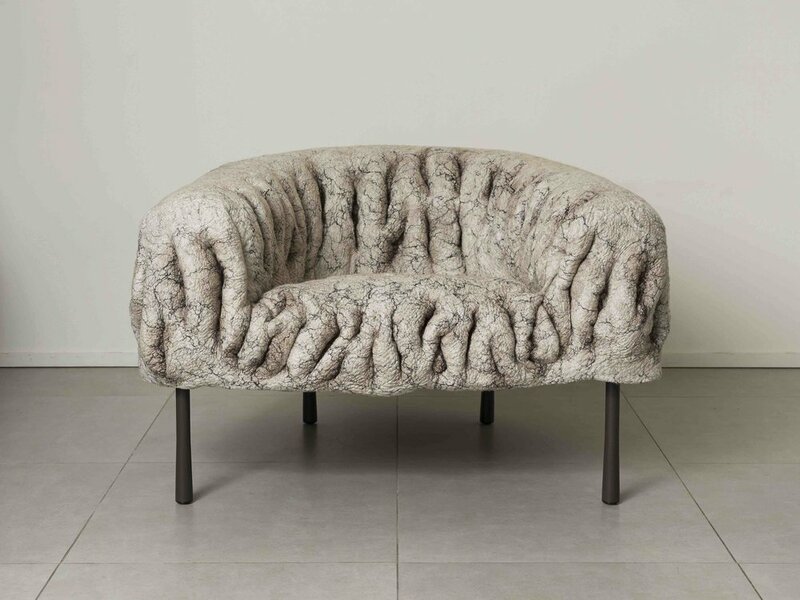 One body of work (and body is the operative word) called Rapa is driven by the same organic impetus but yields a very different outcome: massive pieces of furniture. Instead of gossamer strands of glass, with silk and light, the material here is thick, chunky felt: soft as moss, earthbound, comforting as an animal’s warm hide. Photo courtesy of Maison Gerard, Robert Levin. The Film: "Out in the World"